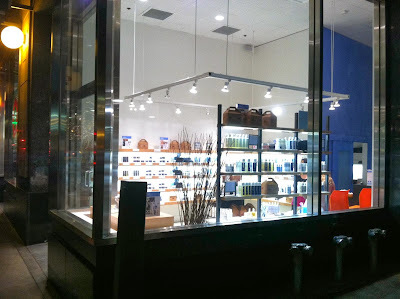 skoah on Seattle's Pike Street. Photo courtesy skoah. I first met skoah face to face (pun intended) when it opened in Vancouver's Yaletown neighborhood in 2001. It was somewhat revolutionary in the spa world back then, specializing in smooth skin, melted muscles and "no whale music." I experienced the Facialiscious, a deluxe facial that includes cleansing, exfoliation, extraction, massage and moisturizing. And my skin felt as soft as a baby's bum! Chris and Andrea Scott's Canadian-based company has grown and expanded in the past dozen years, and now includes seven Canadian locations and two in Boston. Recently, they ventured south of the 49th Parallel again, opening three locations in the Puget Sound area: one in Bellevue and two in Seattle. 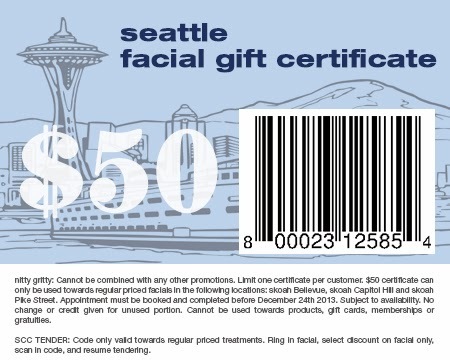 I had my first American Facialiscious a few weeks ago at skoah's Pike Street location (downtown Seattle, on Pike between Fourth and Fifth). 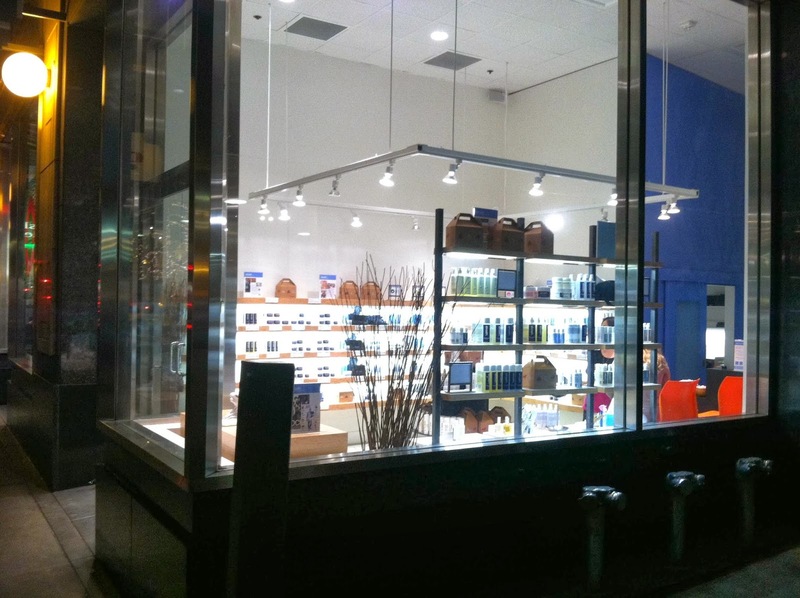 They also have a location on Capitol Hill's Broadway, and one in Bellevue. Katie was my aesthetician, and she didn't disappoint. Not only did my face feel delightfully rehabbed, the masks and massages included in the treatment were most welcome. Since my debut at the Vancouver spa, skoah has developed its own line of skin care products, all made in BC's largest city. Through customer and crew feedback, its original product line of five has expanded to 70 products, plus a proprietary make-up line. The skoah spa menu has 10 customized treatments, from a $45 Quickie to a Mancial facial for men -- which includes exfoliation of the feet. 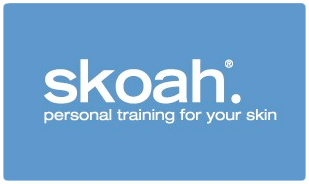 With its tag line personal training for your skin, skoah employs skin care trainers who provide customized facials that they dub "skin care workouts" (sweat-free). And just like a gym, skoah offers memberships, which include product discounts and other member-only benefits. 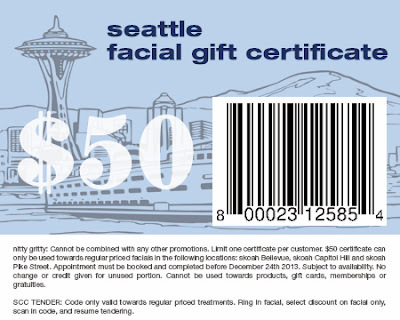 Use the coupon below to experience skoah yourself -- just book and use before Christmas Eve. A perfect pre-holiday gift for you or a friend!